Tyler, TX-based indie duo Rising Fawn will release their debut full-length, Sifting Through Sadness, on August 28 via Rory Records – Max Bemis of Say Anything’s imprint label within Equal Vision Records. Rising Fawn features guitarist/vocalist Chauntelle DuPree-D’Agostino of Eisley and her husband, guitarist Todd D’Agostino, who is also the owner and luthier of Larose Guitars. A new song from the album, “Ours For Taking” is premiering now exclusively at Diffuser.FM! Rising Fawn will perform their first shows ever this August, while on a short, intimate headlining tour throughout Texas, with support from Merriment. DuPree-D’Agostino has toured full-time in Eisley for nearly 15 years, performing all over the world with the likes of Coldplay, The Fray, Snow Patrol, Mutemath and many more. All upcoming Rising Fawn tour dates can be found below, along with the tracklisting for Sifting Through Sadness. Rising Fawn signed to Rory Records in 2013 and released Everlasting Songs, their debut EP, soon after on June 18. DuPree-D’Agostino shares that they started the band, “mostly for the fun of it. It began with sharing some ideas and creating a sound to accompany those [visions]. It was a good outlet for music that couldn’t exactly fit into Eisley’s style.” Rising Fawn draws influence from artists as diverse as Iron and Wine, Sunny Day Real Estate, Radiohead, and Pink Floyd. 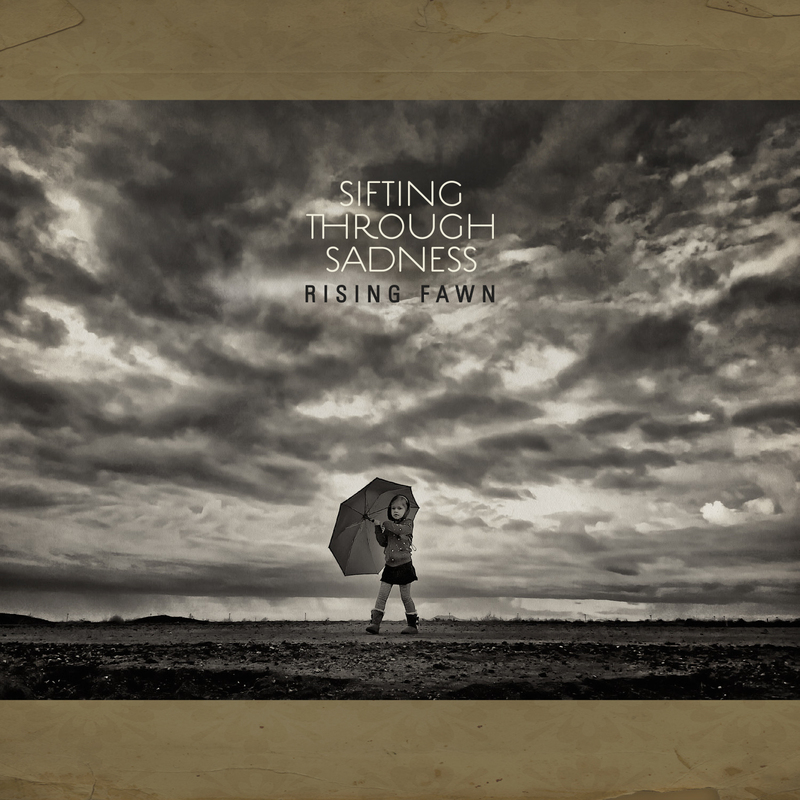 Sifting Through Sadness is available for pre-order now via MerchNOW and includes an instant MP3 download of “Ours For Taking”.